Do you supply birthday party invitations? Yes. 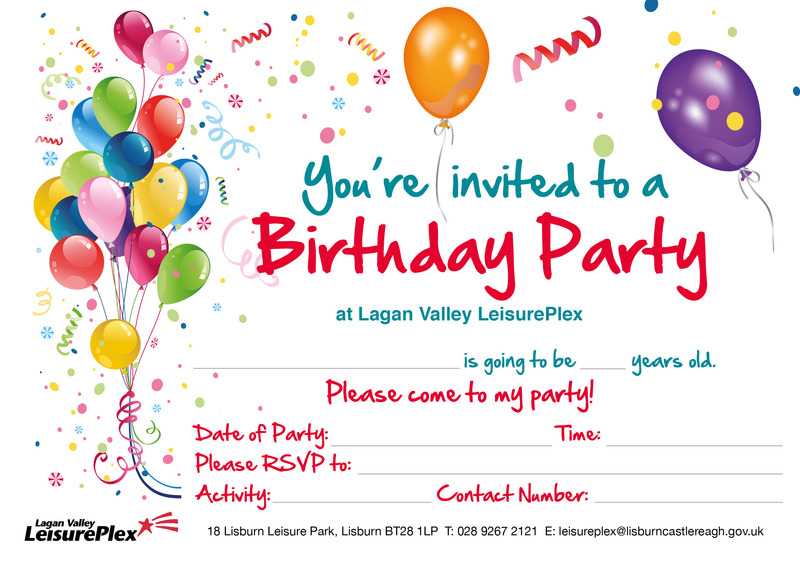 Lagan Valley LeisurePlex has had party invitations designed for your use. You can download, print at home and issue the invitations to guests ahead of your party.